This was created for a display at the People’s History Museum in Manchester. Bumblebee numbers in the UK have been declining because of changes in agricultural practices that have largely removed flowers from the landscape, leaving the bumblebees with little to feed upon. Most UK species have declined greatly in recent years, and two have become extinct in the UK since 1940. Please help attract bumblebees to your garden by planting the right kinds of flowering plants. 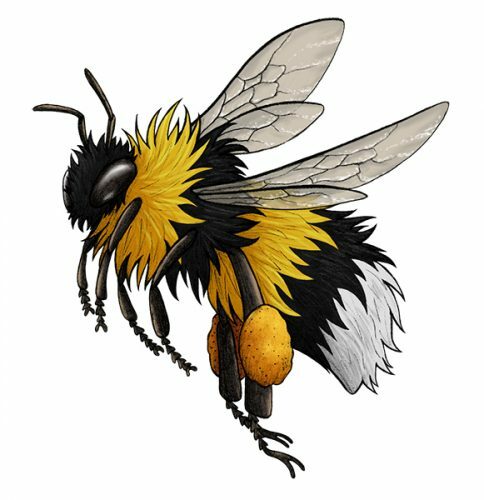 Get more info about bumblebee friendly gardening at the Bumblebee Conservation Trust.